Updating your home to be more chic - without looking cheap - is completely doable on a budget. If you're looking to add more class to your home, taking on a DIY project can give your house that extra sense of style while saving you money. No need to cringe at those three little words: "do it yourself." There really are fast, easy and affordable projects you can do on your own. Here are five relatively easy ways to enhance your home. Switching out an old or basic light fixture for a more elegant one is an easy way to shift the ambiance of a room. By adding a sophisticated light fixture, you can control the intensity of the light and character of your room. And you don't need to pay a pretty penny for expensive new fixtures - you can buy used fixtures online. Installing floating shelves in your home combines the functionality of extra storage space with a bit of style and personal flair. Floating shelves can be mounted on walls in many different patterns, and they come in various materials to give your rooms a unique touch. For a small room choose shallow shelves to display framed photos; for a larger room you can afford to use deeper shelves to hold vases, books and unique trinkets. Painting an accent wall can add a pop of color and showcase your personality. Usually a low-risk project, a homeowner of any skill level can tackle this project in a day. You just need some painter's tape, a brush and the color that suits you! Just make sure the color you choose is complementary with the other colors in the room. Stay consistent between warm and cool tones. 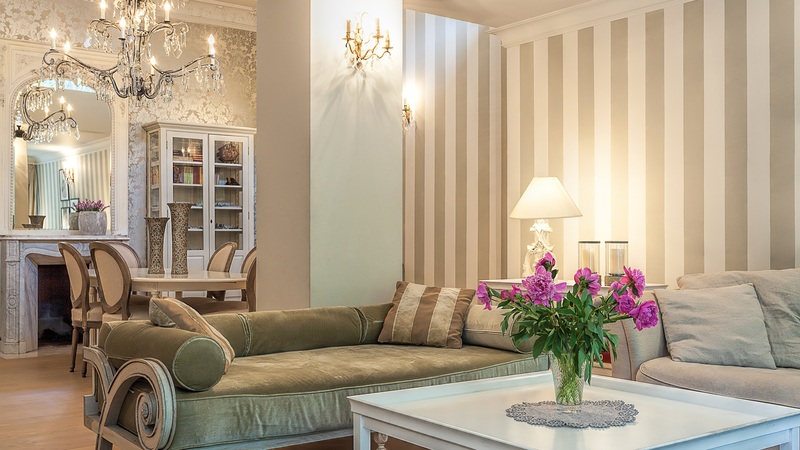 Adding decorative molding around your home can add an extra touch of elegance. Install molding to the ceiling by capping walls, columns and cabinets, or add chair molding lower to the ground. With detailed molding you can add character to your rooms while also making them feel taller and more finished. 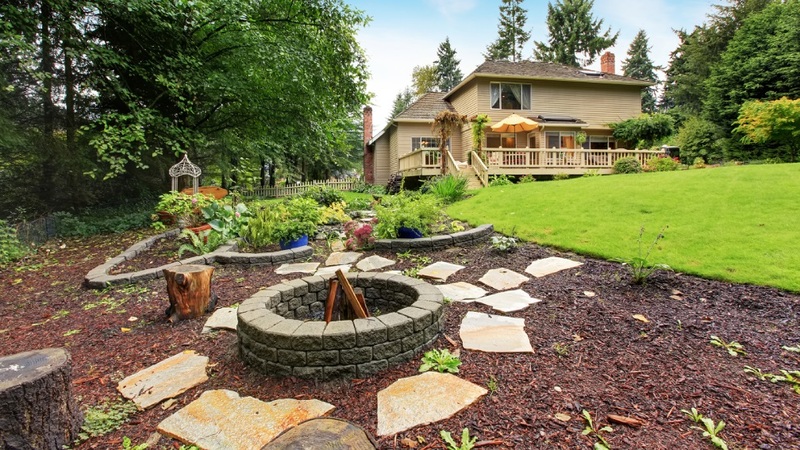 Take your sophisticated style outside by building a stone fire pit in your backyard. Completed in only a few hours, take uniquely shaped rocks or large stones and put them together to create a functional and stylish fire pit. Before starting the project, be sure to check your local fire codes or homeowners association to ensure you are safe and allowed to start building. Adding a touch of class to your home doesn't have to break the bank! Just be sure to start with one project at a time, allowing yourself to complete one before starting the next. Otherwise, you'll fall victim to chronic project incompleteness syndrome - not a good look! Now that you know about these five inexpensive DIY projects, which will you try?